30 Days of Coffee: Day 3 | Eat. Go. Learn. Live. Sometimes, for a great coffee experience you have to travel a bit outside of your local area. 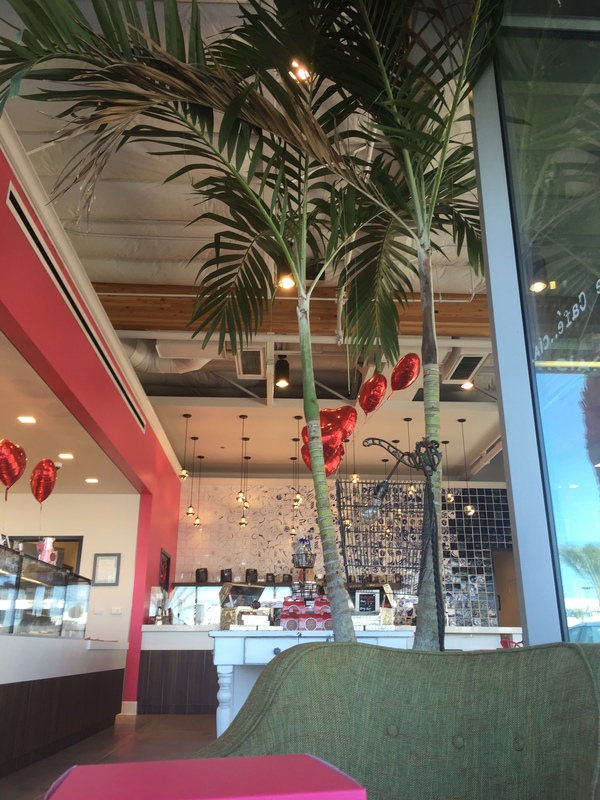 In my search for something different and unique, I came across this coffee house in South Gate only about 15 minutes outside of Los Angeles. 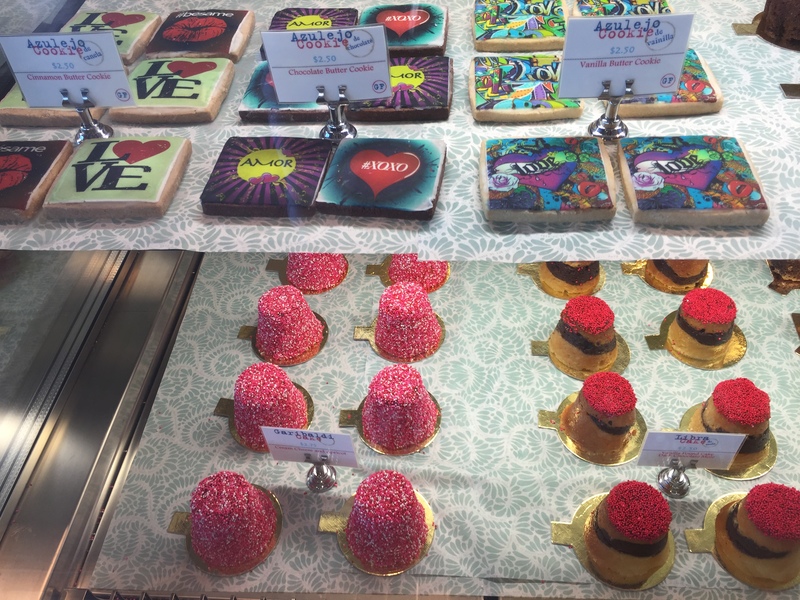 It’s nestled in a fairly new shopping centre among many well-known restaurant chains and retail stores. 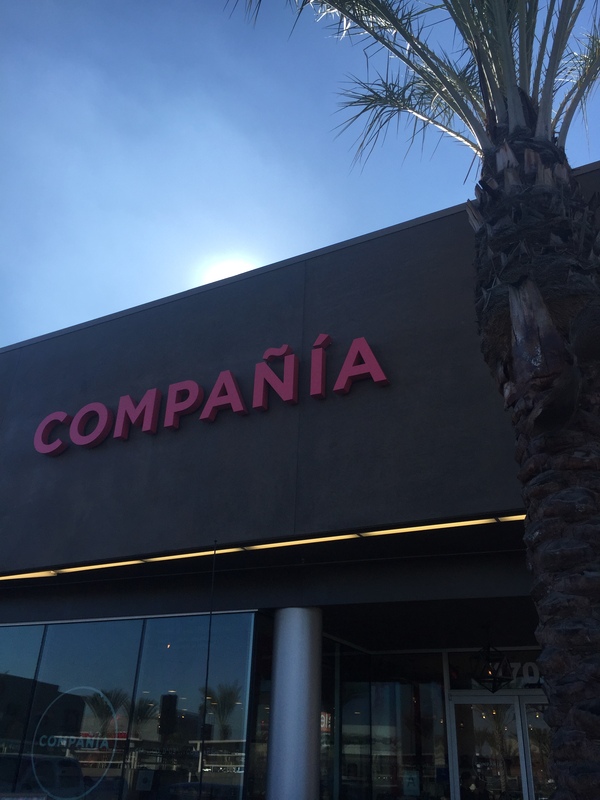 Originating in the San Fernando Valley, Compañía brings Mexican-American culture to the cafe environment. The feeling you get while being here is very inviting and social. 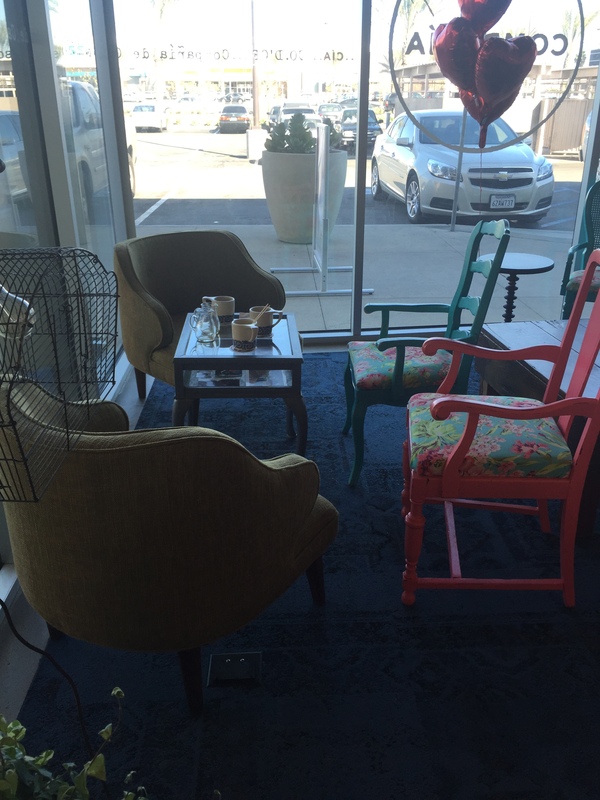 I would definitely bring friends here for “coffee talk” time. 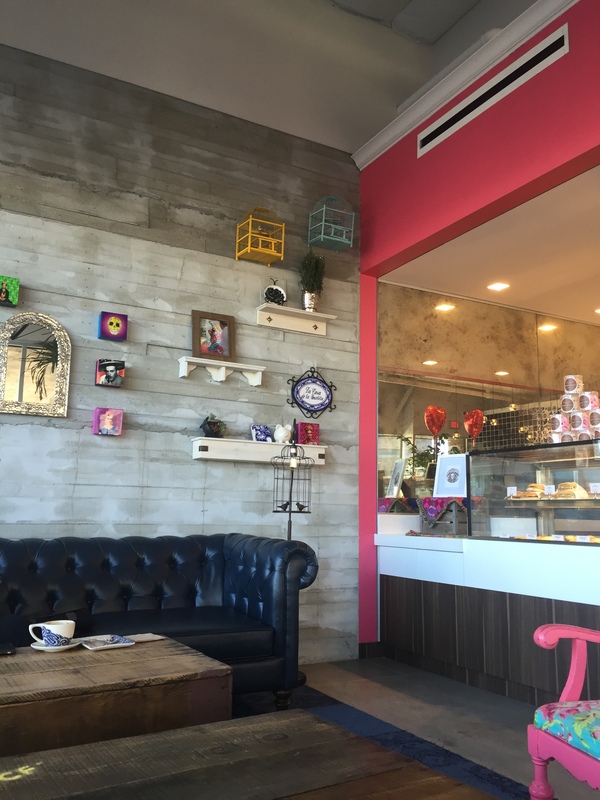 The decor is very clean, yet colorful and cultural. A large tile mosaic welcomes you in, and a little nook in the corner with a sofa, coffee tables and cushioned chairs invites you to stay as long as you like. There was a mix of Spanish rock and 80s music coming through the speakers, which was really what set the mood for me. The drinks here (not just coffee) offer a variety that makes it so hard to choose just one! 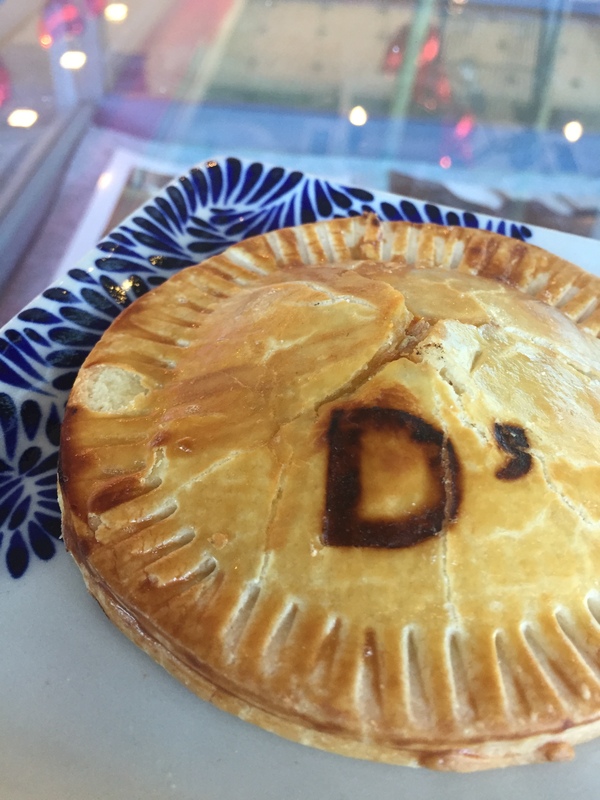 They have herb-infused agua frescas, coffee drinks (brewing George Howell and 49th Parallel) with Mexican flavors such as jamaica and tamarindo, enticing Mexican chocolate drinks, and a few signature espresso drinks featuring house-made components. 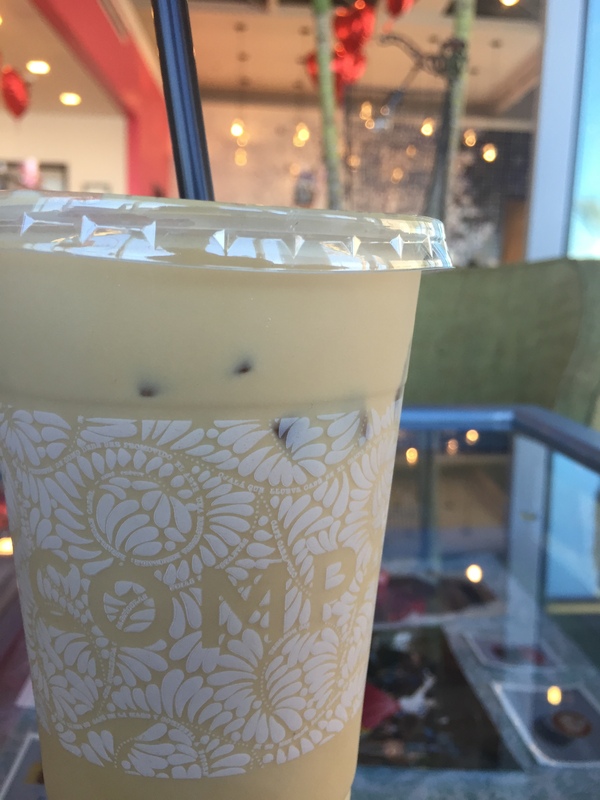 Feeling completely overwhelmed, but wanting to stay in my “coffee lane”, I opted for an iced horchata latte. I’m not usually one to go for the sweet coffee, but really how could I resist? The latte was the perfect balance of milky, cinnamon flavor and coffee with not too much sweetness. I actually liked it a lot! I must go back and try literally ALL of their other drinks! 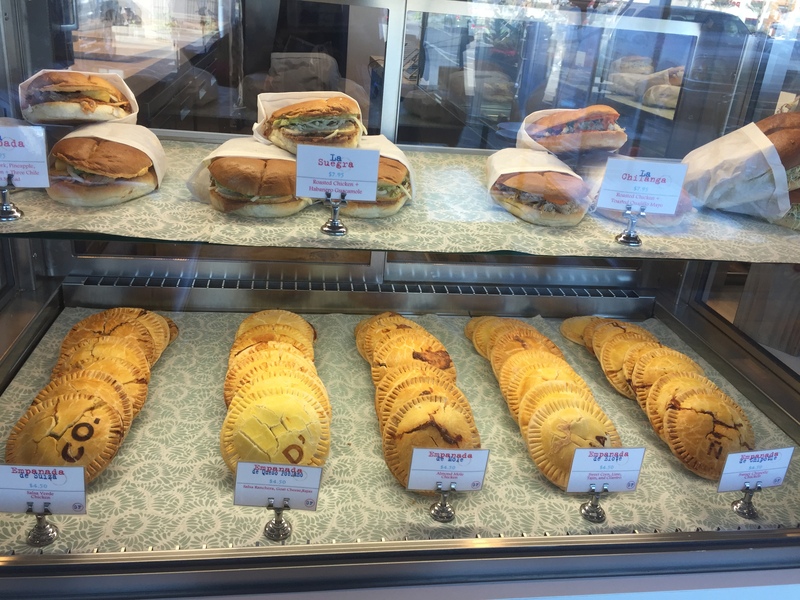 Not only does Compañía offer an assortment of beverages, but they also have an in-house bakery! 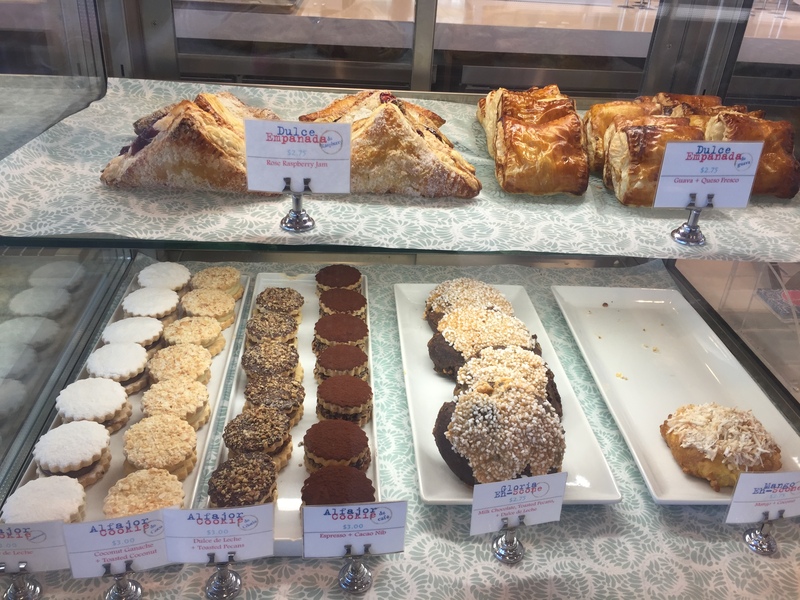 Savory and sweet empanadas, galletas (cookies), and other small cakes and pan dulce are all tempting and beautiful to look at. 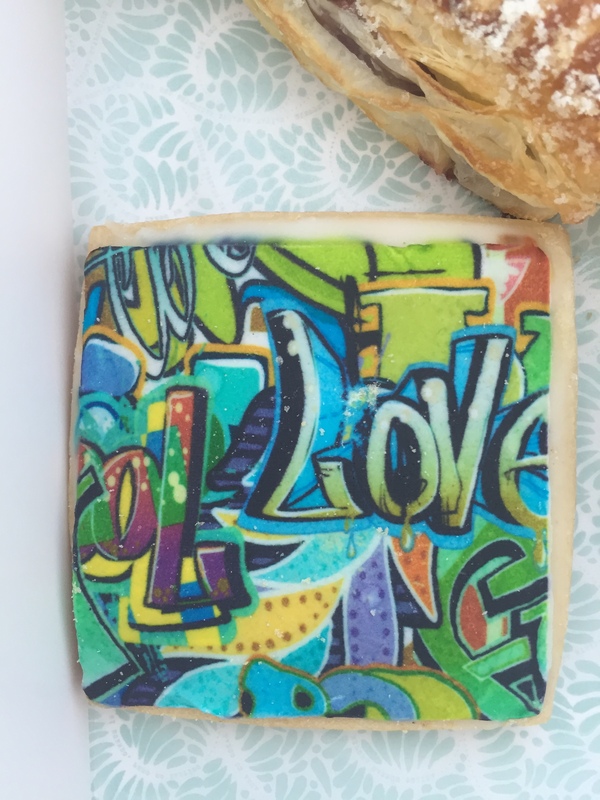 Some of their cookies are decorated with the same prints as their tiles or other creative designs. 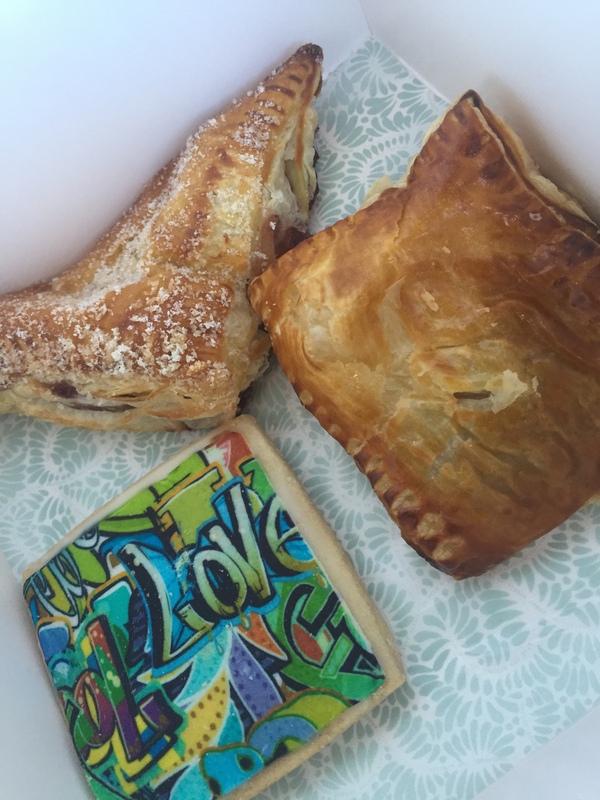 I had to try some of these goodies, so I got an empanada de queso poblano (goat cheese and pepper), a vanilla cookie, and a guava empenada. It sounds like a lot, but when presented with such glorious foods, you have to get more than one! Counting down until I go back for more…!